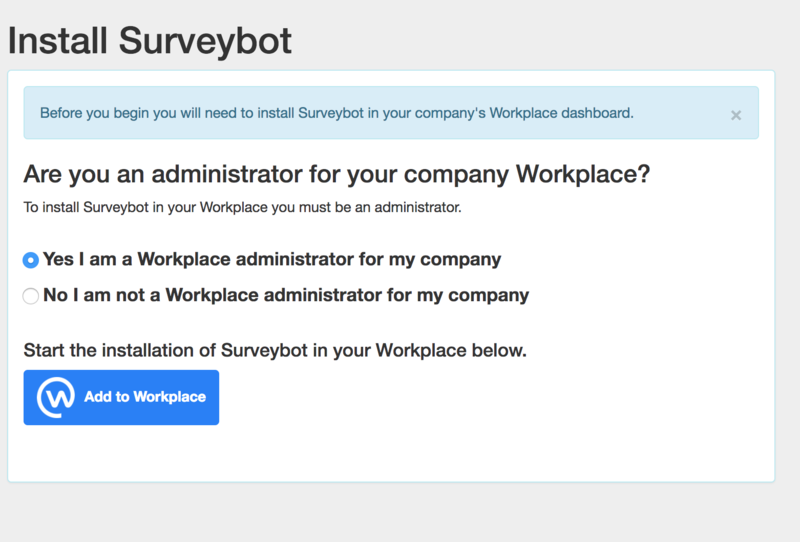 One-Click integration between your chatbot survey and Facebook Workplace, it’s that easy! We believe your chatbot survey should be easy to integrate and intuitive. Which is why we’re excited to tell you about the new one-click integration between the Surveybot chatbot survey and Facebook Workplace. 1. If you haven’t already done so, you will need to first sign up to Surveybot. 2. After you’ve completed this you will be presented with a screen to install Surveybot in your Workplace. 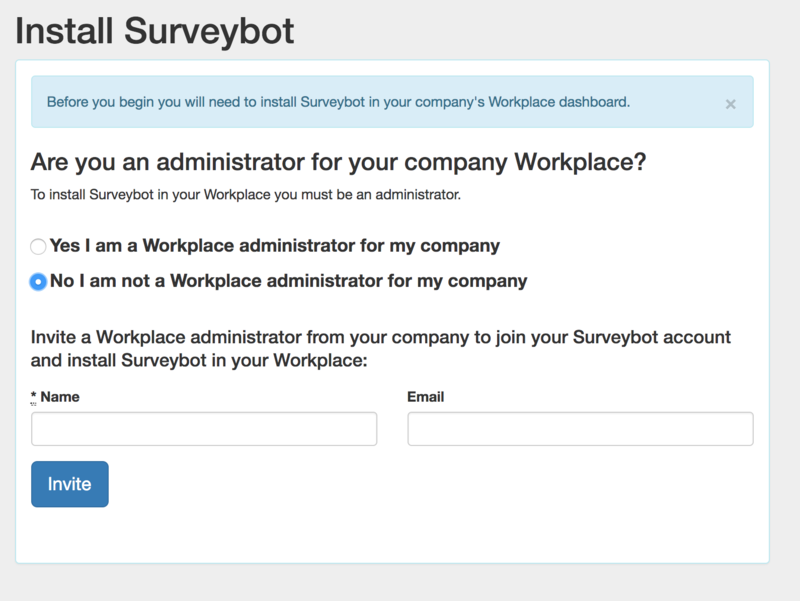 *Note: If you are not a Facebook Workplace administrator cannot install Surveybot. You will need to invite the administrator of your page to join your Surveybot account and they will need to install Surveybot. 4. Review the permissions to install and then click on the “Install” button. See, pretty easy right? You’re welcome! Interested in more integrations? You can also integrate with Tableau! Feel free to comment with questions or feedback. Or contact us here. And as always, Happy Surveying! Belle writes content for Surveybot and creates tutorial videos to help people make their best surveys. Originally from Colorado, USA she now lives in Wellington, New Zealand and is a proud to be a part of the Surveybot team.